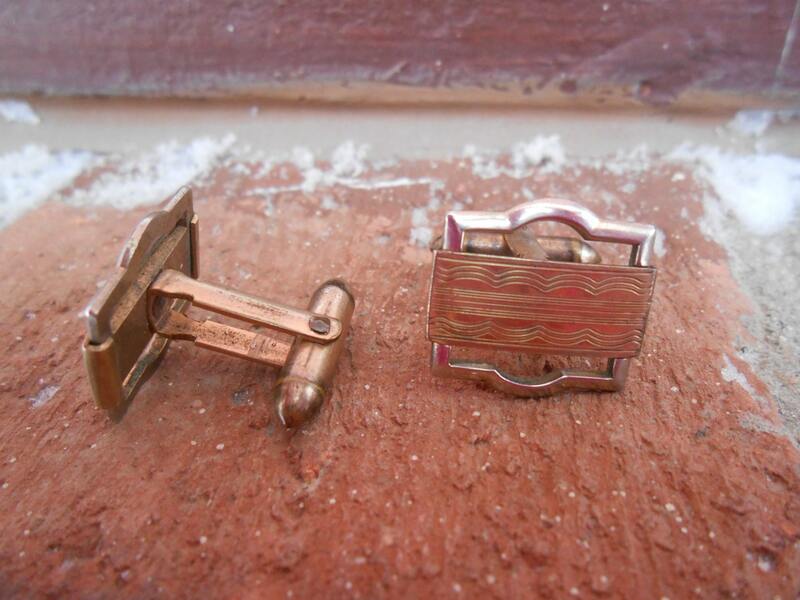 Vintage Gold Cufflinks. Wedding, Groom, Anniversary, Birthday, Christmas Gift, Dad. 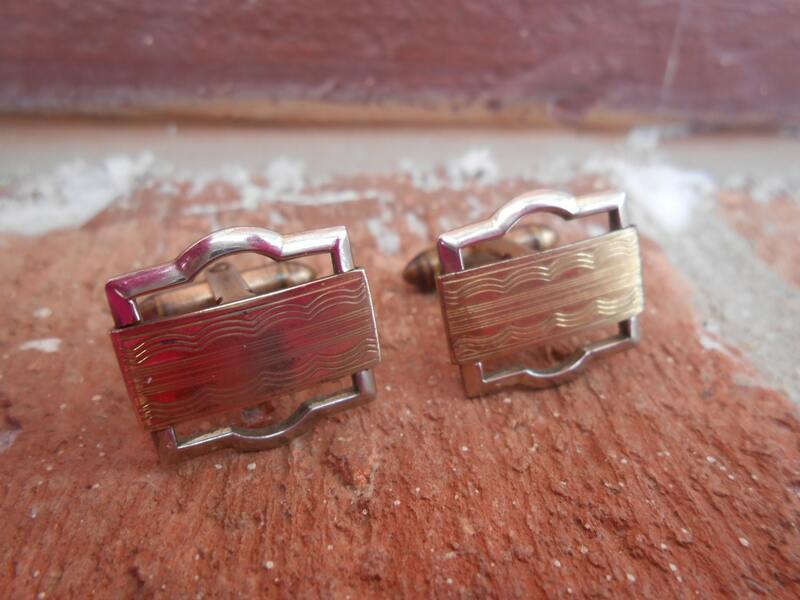 Valentines, Groomsmen. 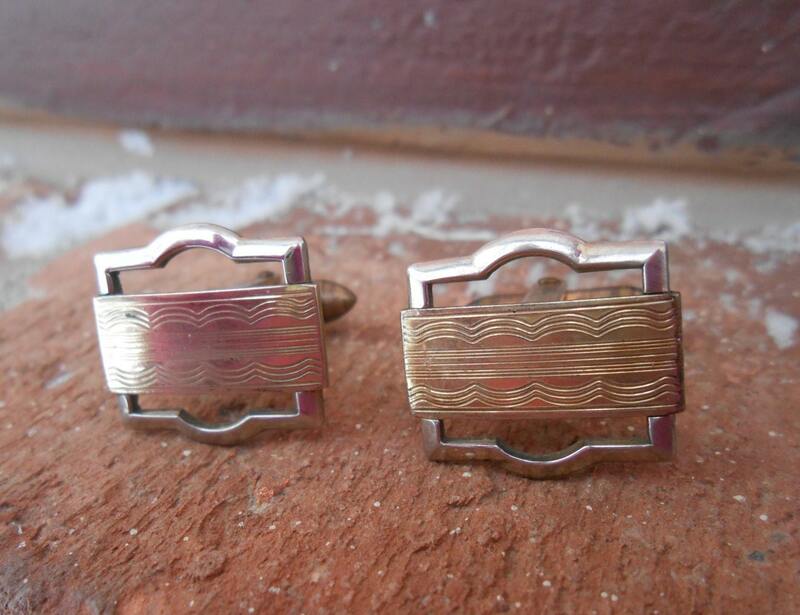 These vintage cufflinks are perfect for any man! 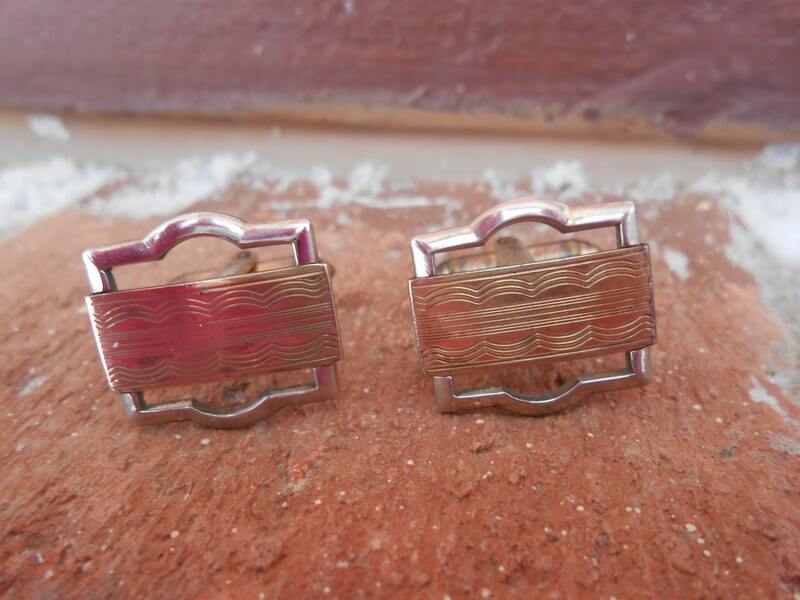 Each one has a modern look to it, with a silver frame, and a gold plated front. They measure 3/4" x 3/4". 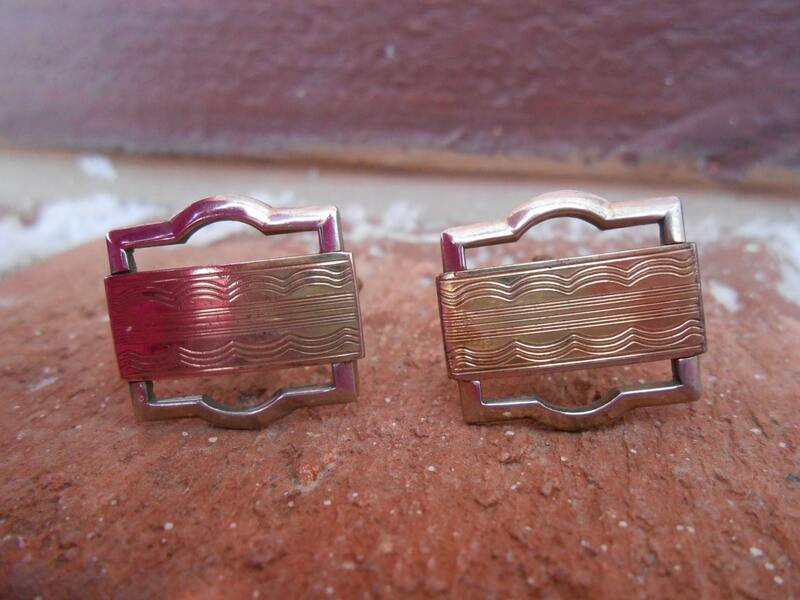 These were made in the 1960s and are in good condition.